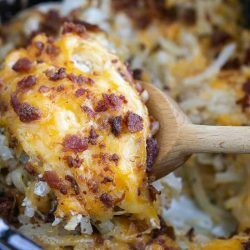 Crock Pot Crack Hash Brown Potatoes, the quintessential comfort food gets an easy and delicious make-over with the addition of Ranch seasoning and bacon. 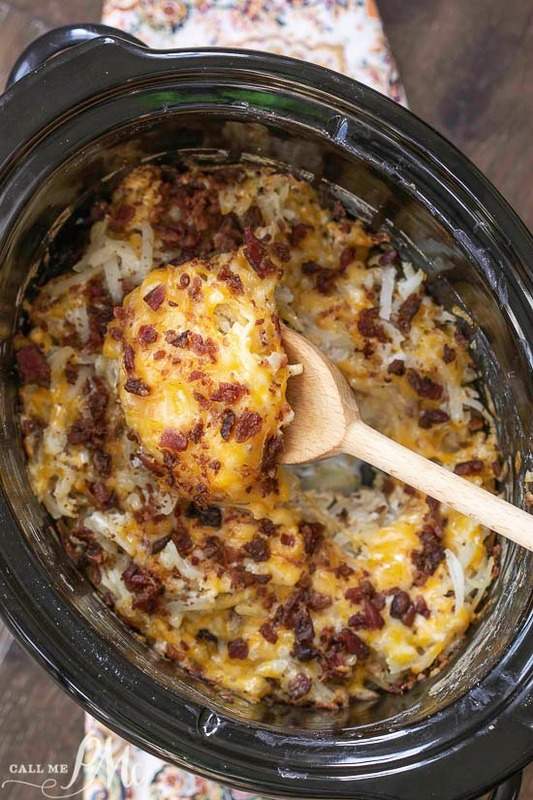 This is an effortless, 5-minute prep recipe that will become your go-to potato casserole. 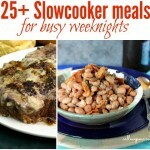 It’s great any time from busy weeknights to family holiday celebrations to church potlucks. 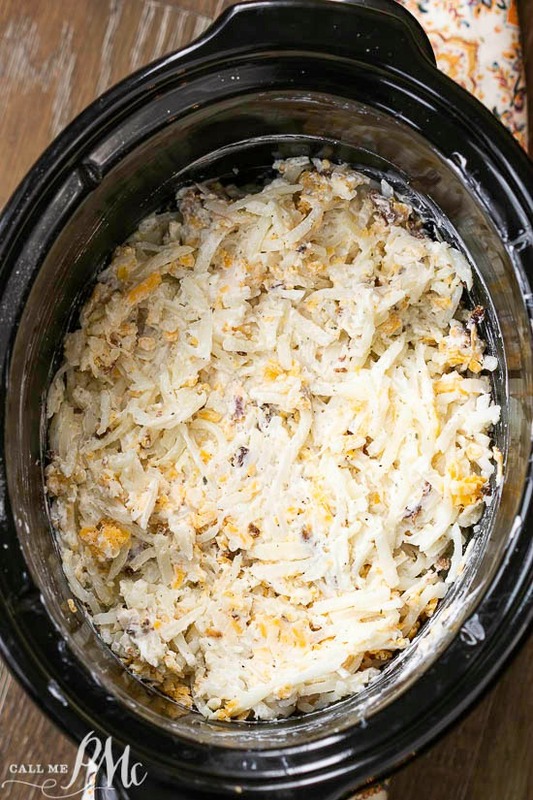 Easy and cheesy, Crock Pot Crack Hash Brown Potatoes are always a crowd favorite. 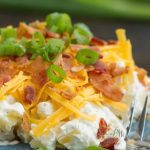 Is there a substitution for sour cream? Yes, you can use Greek yogurt instead of sour cream. Actually, I used Fage 0% milk fat Greek Yogurt in this recipe. Furthermore, I almost always use this Greek yogurt instead of sour cream in recipes. 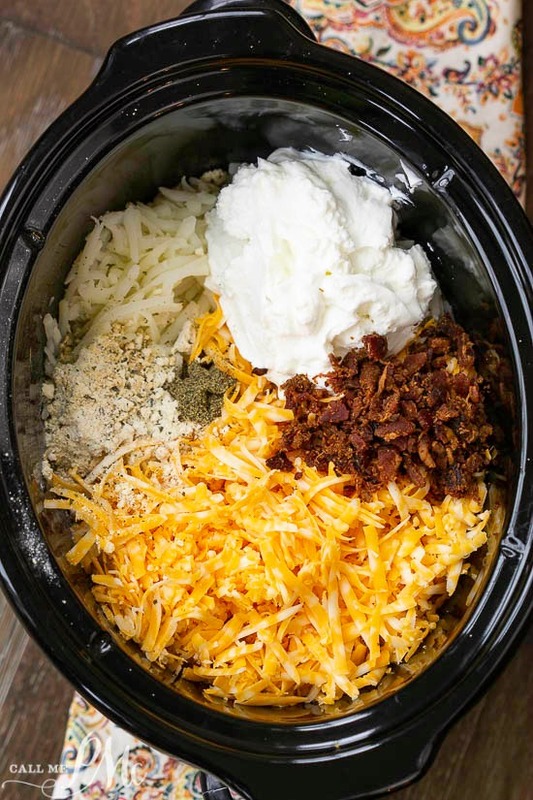 Can I substitute cheddar cheese for the Colby Cheddar mix? Yes, I prefer the Colby cheddar mix because cheddar tends to be oily when melted. However, you can use all cheddar. 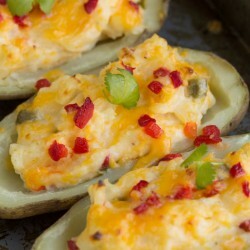 As well, you can use any cheese you have on hand. Gouda, Havarti, and Monterrey are very good choices. 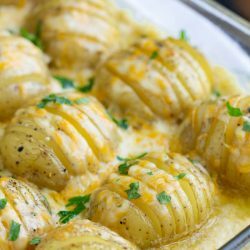 Can I bake this casserole in the oven? Absolutely! First, Heat oven to 350 degrees F. Next, spray a 2-quart baking dish with nonstick cooking spray. 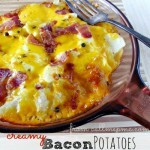 In a large bowl combine potatoes, sour cream, Ranch seasoning, 1 cup cheese, pepper, half of the bacon, + 1/2 cup milk. Mix well. Spread into prepared baking dish. 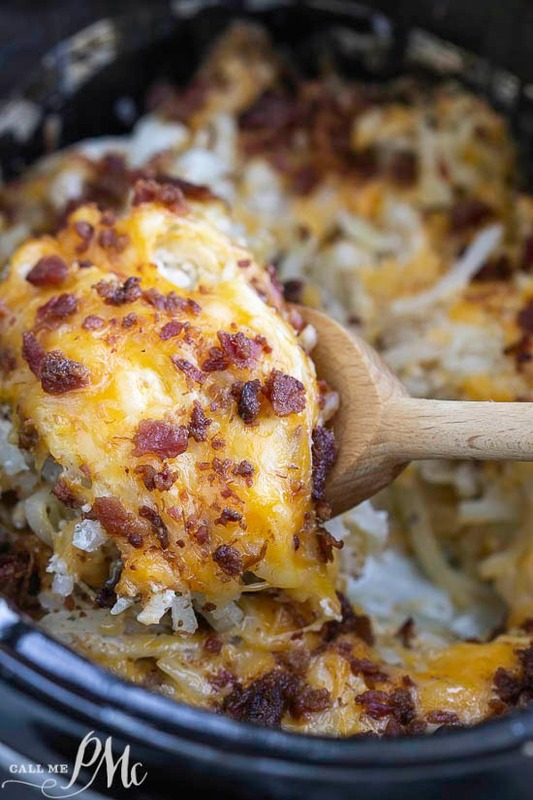 Spread remaining cheese and bacon evenly over hash browns. Bake, uncovered, 45 minutes or until hash browns are tender. Can I cook my own bacon? Yes! I used store-bought, pre-cooked Bacon Crumbles for convenience. However, you can cook 5 – 6 slices of bacon if you prefer. 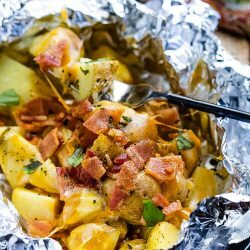 I found with the Ranch seasoning and bacon these potatoes didn’t need additional salt. 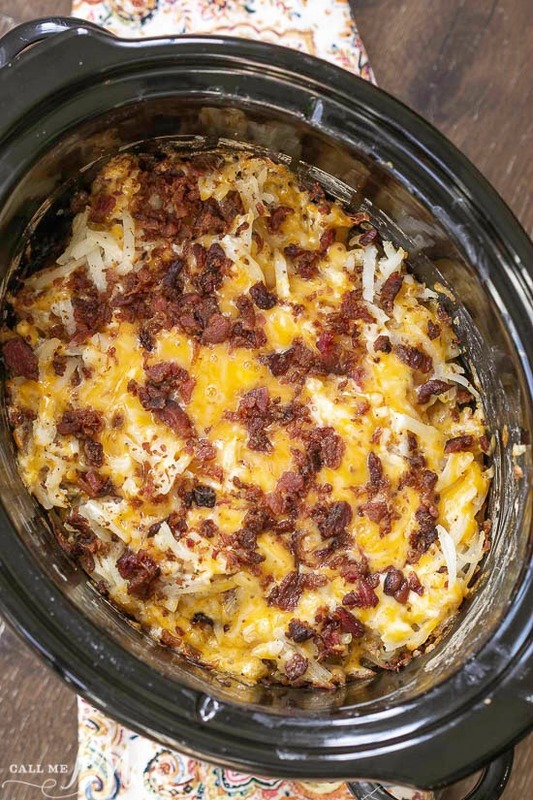 Finally, three hours may seem like an excessive time to cook this casserole. It does take that long for the potatoes to cook through. 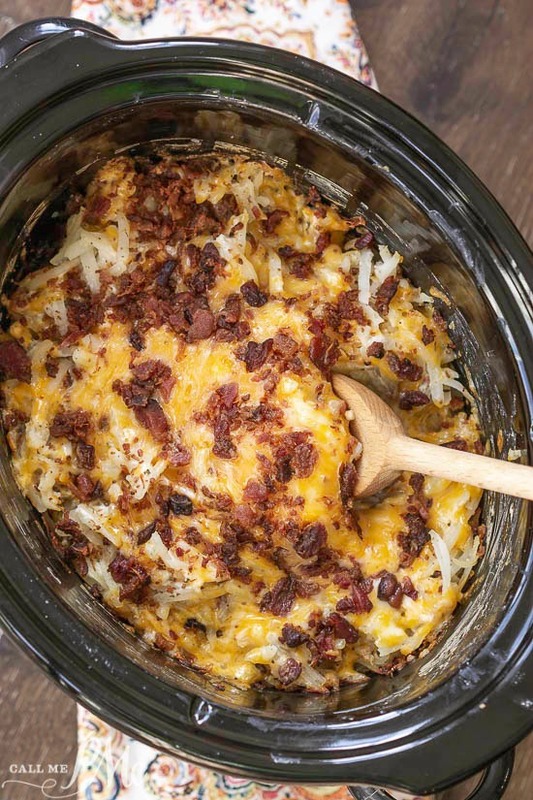 In a slow cooker, combine hash brown potatoes, sour cream, milk, Ranch seasoning, black pepper, 1 cup cheese, and half the bacon. Stir to combine. Sprinkle remaining cheese and bacon on top. Can not WAIT to try this! 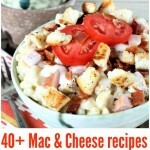 I don’t like onions so I really appreciate this recipe! One quick and simple question: do the hash browns need to be thawed? Forgive me if you answered that above but I didn’t catch it anywhere…. Hey Denise, no you don’t have to thaw the hash browns.